"Do you know which books to study, and which ones not to bother with? Or which ones to read first, so that what you read in the others will be comprehensible to you?" in Empire , John F. Carr, ed., New York: Ace, 1981, pp. 13-59, with cover illustration by Michael Whelan. in Flight from Tomorrow and Other SF , Alan Rodgers, ed., Northridge, CA: Ægypan (POD), 2006, hardcover without dust jacket. in Flight from Tomorrow and Other SF , Alan Rodgers, ed., Northridge, CA: Ægypan (POD), 2006, with uncredited cover illustration. as Edge of the Knife, H. Beam Piper, LibriVox, February 2009, audiobook read by Julio F. Marchini (jfmarchini). in The Rise of the Terran Federation , John F. Carr, ed., Boalsburg, Pennsylvania: Pequod Press, 2017, pp. 131-174, with dust jacket illustration by Alan Gutierrez. in Astounding Science Fiction, Vol. 13, No. 6, June 1957 (British edition). 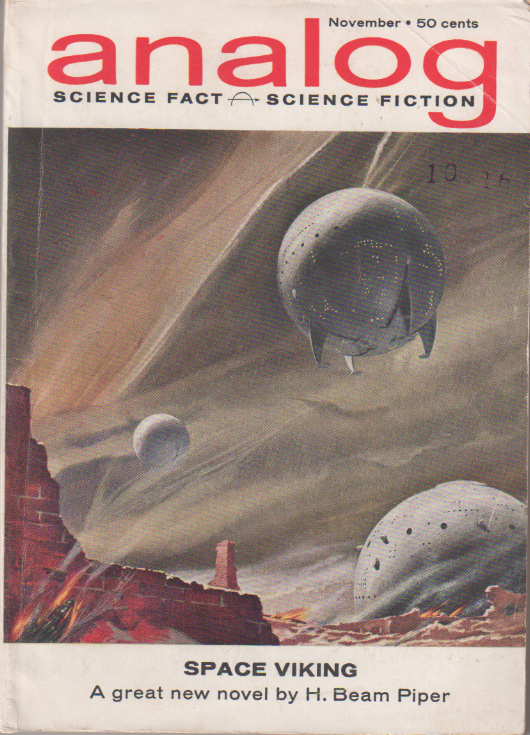 in Prologue to Analog, John W. Campbell, Jr., ed., Garden City, NY: Doubleday, 1962.
in Analog Anthology, John W. Campbell, Jr., ed., London: Dobson, 1965.
in Great Science Fiction Stories About Mars, T. E. Dikty, ed., New York: Frederick Fell, 1966.
in Apeman, Spaceman, Leon E. Stover and Harry Harrison, eds., Garden City, NY: Doubleday, 1968.
as "Omni-lingual," Asakura Hisashi, translator, in S-F Magazine, Vol. 9, No. 13 (No. 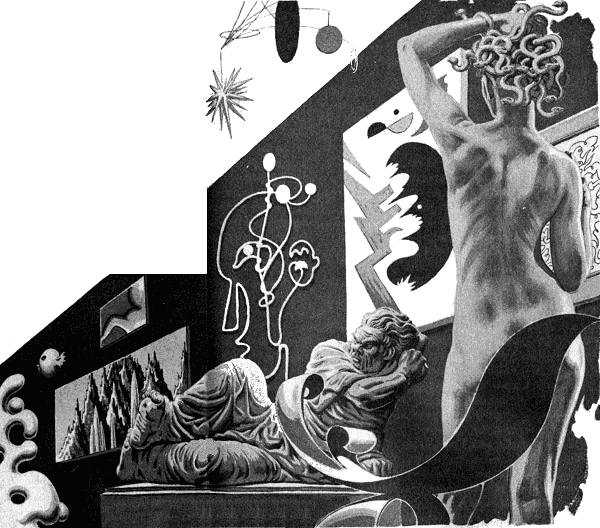 115), December 1968, with interior illustration by Kanamori Tooru (Japanese translation). in Mars, We Love You, Jane Hipolito and Willis E. McNelly, eds., Garden City, NY: Doubleday, 1971.
in The Days After Tomorrow, Hans Stefan Santesson, ed., New York: Little Brown, 1971.
in Where Do We Go from Here?, Isaac Asimov, ed., Garden City, NY: Doubleday, 1971.
as "Omnilingue," Beata Della Frattina, translator, in Antologia scolastica n. 3, uncredited editor, Milan: Arnoldo Mondadori (Urania No. 593), 1972, pp. 50-98, with cover illustration by Karel Thole (Italian translation). in Where Do We Go from Here?, Isaac Asimov, ed., New York: Fawcett Crest, 1972.
as "Langage universel," Bruno Martin, translator, in Fiction, No. 235, July 1973, pp. 5-58 (French translation). in Tomorrow, and Tomorrow, and Tomorrow . . ., Bonnie L. Heintz, Frank Herbert, Donald A. Joos and Jane Agorn McGee, eds., New York: Holt, Rinehart & Winston, 1974.
in Science Fiction Novellas, Harry Harrison and Willis E. McNelly, eds., New York: Charles Scribner's Sons, 1975.
as "Omnilingue," Beata Della Frattina, translator, in Antologia scolastica, Isaac Asimov, ed., Milan: Arnoldo Mondadori (Biblioteca di Urania No. 6), 1980, pp. 286-328, with cover illustration by Karel Thole (Italian translation). in Federation , John F. Carr, ed., New York: Ace, 1981, pp. 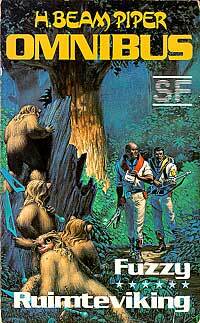 2-55, with cover illustration by Michael Whelan. in From Mind to Mind, Stanley Schmidt, ed., New York: Davis Publications, 1984.
in From Mind to Mind, Stanley Schmidt, ed., New York: Dial Press (Doubleday), 1984.
in Isaac Asimov Presents the Great SF Stories: 19 (1957), Isaac Asimov and Martin H. Greenberg, eds., New York: DAW, 1989.
as "Omnilinguista," Giampaolo Cossato and Sandro Sandrelli, translators, in Le grandi storie della fantascienza 19 (1957), Isaac Asimov and Martin H. Greenberg, eds., Milan: Armenia, 1989, pp. 29-76 (Italian translation). as "Omnilingue," Beata Della Frattina, translator, in Dove da qui? 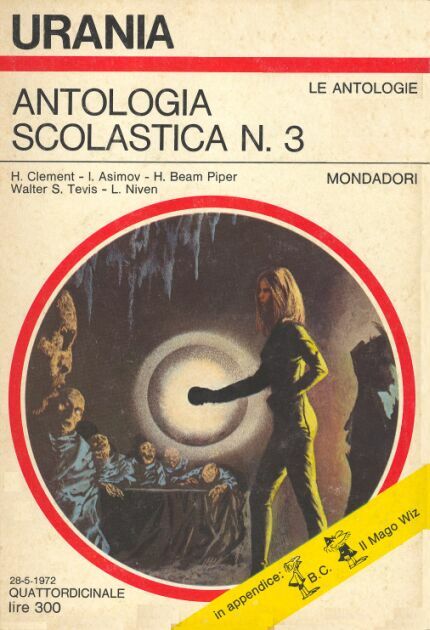 Antologia scolastica, Isaac Asimov, ed., Milan: Arnoldo Mondadori (Oscar Fantascienza No. 98), 1992, pp. 343-393 (Italian translation). 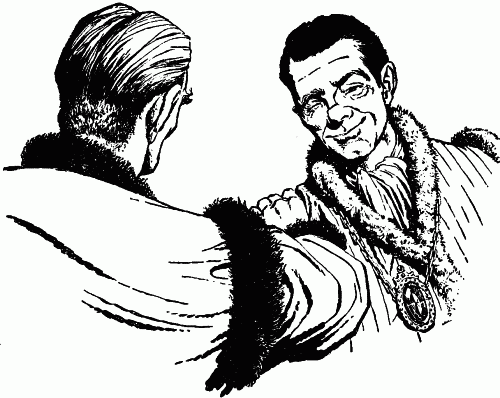 as "Omnilinguista," Giampaolo Cossato and Sandro Sandrelli, translators, in Le grandi storie della fantascienza 19 (1957), Isaac Asimov and Martin H. Greenberg, eds., Milan: Bompiani (I Grandi Tascabili Bompiani No. 681), 2000, pp. 29-76 (Italian translation). in The World Turned Upside Down, David Drake, Jim Baen, and Eric Flint, eds., Riverdale, NY: Baen, 2005.
in Ministry of Disturbance and Other SF , Alan Rodgers, ed., Northridge, CA: Ægypan (POD), 2007, hardcover without dust jacket. in Ministry of Disturbance and Other SF , Alan Rodgers, ed., Northridge, CA: Ægypan (POD), 2007, with uncredited cover illustration. as Omnilingual, H. Beam Piper, LibriVox, March 2007, audiobook read by Mark Nelson. in The Rise of the Terran Federation , John F. Carr, ed., Boalsburg, Pennsylvania: Pequod Press, 2017, pp. 231-274, with dust jacket illustration by Alan Gutierrez. "When in the Course—," H. Beam Piper, Federation , John F. Carr, ed., New York: Ace, 1981, pp. 201-284, with unrelated cover illustration by Michael Whelan. 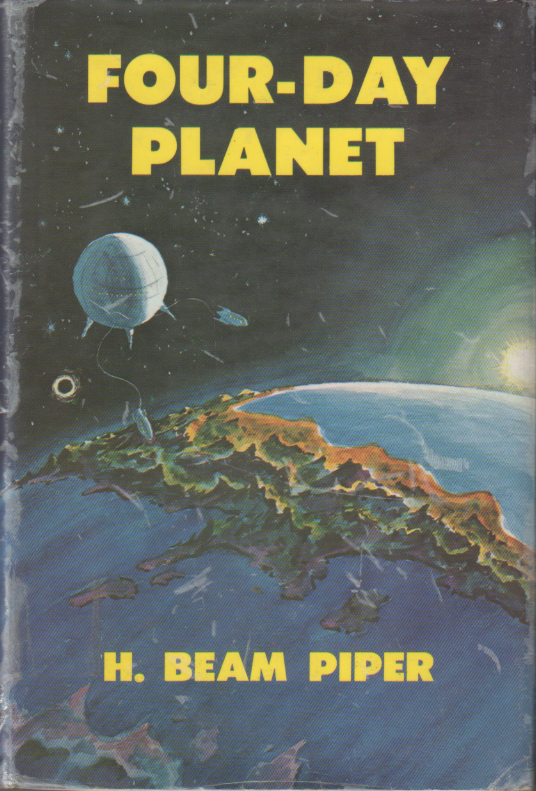 in Four-Day Planet and Lone Star Planet , uncredited editor, New York: Ace, 1979. pp. 1-216, with cover illustration by Michael Whelan. 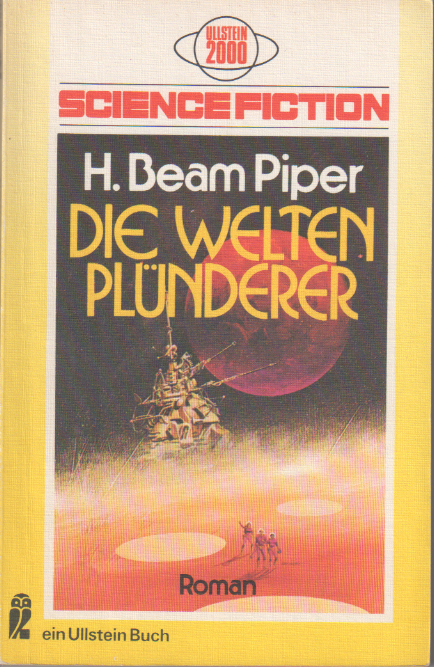 as Die Vier-Tage-Welt, unknown translator, München (Munich): Moewig (Pabel), 1981 (Terra Astra #505), with cover illustration by Eddie Jones (German translation). as Four-Day Planet , Rockville, MD: Wildside (POD), 2006, with cover illustration by Spectral/Fotolia. as Four-Day Planet , Northridge, CA: Ægypan (POD), 2006, hardcover without dust jacket (this book is often advertised with the same cover illustration as the Ægypan paperback edition but the book has blank boards and no dust jacket). as Four-Day Planet , Northridge, CA: Ægypan (POD), 2007, paperback with cover illustration by Leo Morey (a colorized version of an unrelated, interior illustration for Piper's story "Naudsonce" from its publication in the January 1962 edition of Analog). as Four-Day Planet , Rockville, MD: Wildside (POD), 2007, with dust jacket illustration by Spectral/Fotolia. as Four-Day Planet, LibriVox, December 2010, audiobook read by Mark Nelson. P. Schuyler Miller, "The Reference Library: For the Juniors" (includes a review of Four-Day Planet), Analog Science Fiction—Science Fact, Vol. LXVIII, No. 5, January 1962 , pp. 156-163. 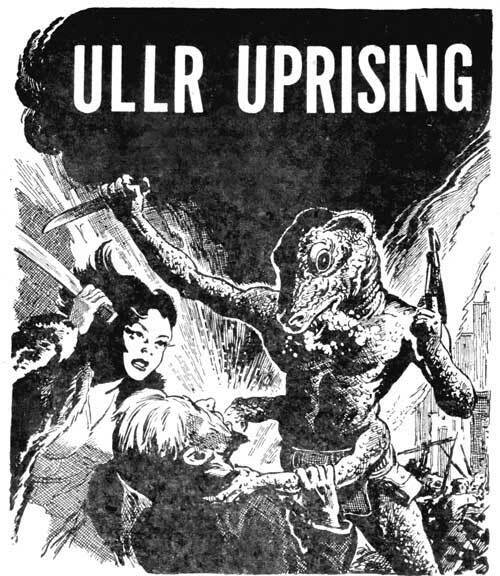 "Ullr Uprising" interior illustration by Paul Orban, Space Science Fiction, February 1953.
as "Ullr Uprising," Part 1, in Space Science Fiction, Vol. 1, No. 4, February 1953 , pp. 4-75, with interior illustration by Paul Orban. in Space Science Fiction, Vol. 1, No. 3, March 1953 (British edition). 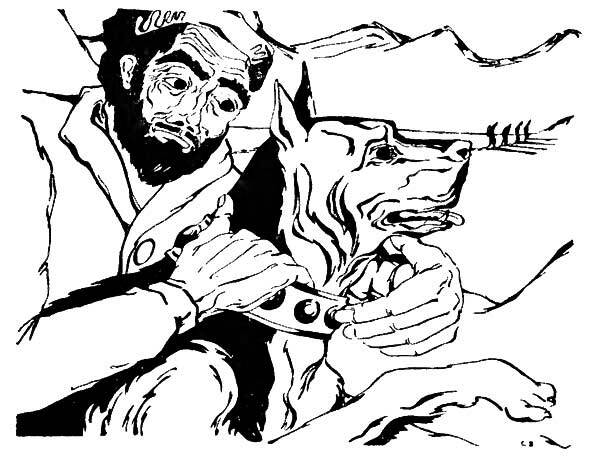 as "Ullr Uprising," Part 2, in Space Science Fiction, Vol. 1, No. 5, March 1953 , pp. 120-156, with interior illustration by Paul Orban. in Space Science Fiction, Vol. 1, No. 4, April 1953 (British edition). as Uller Uprising , New York: Ace, 1983, with cover illustration by Gino D'Achille and including original essays "The Silicone World" and "The Flourine Planet" by Dr. John D. Clark (reprinted from Introduction to The Petrified Planet). 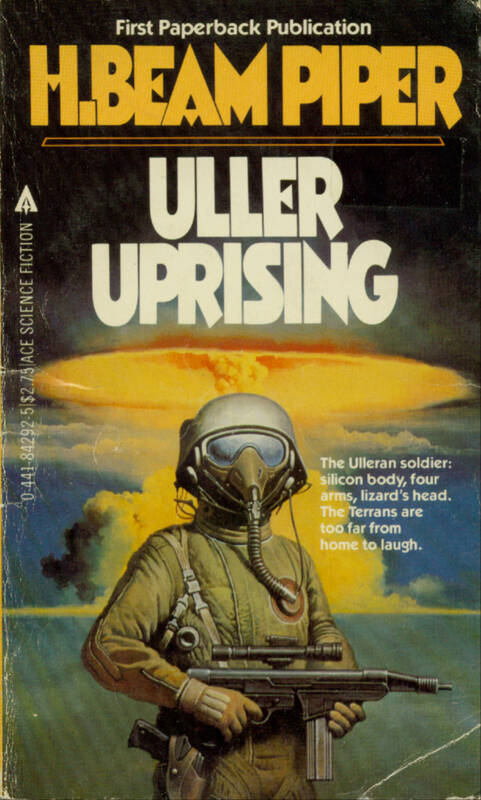 as Der Uller-Aufstand, Dolf Strasser, translator, Frankfurt: Ullstein (#3306), 1977, with cover illustration by Paul Lehr (German translation). as Uller Uprising , Northridge, CA: Ægypan (POD), 2007, hardcover without dust jacket (this book is often advertised with the same cover illustration as the Ægypan paperback edition but the book has blank boards and no dust jacket). 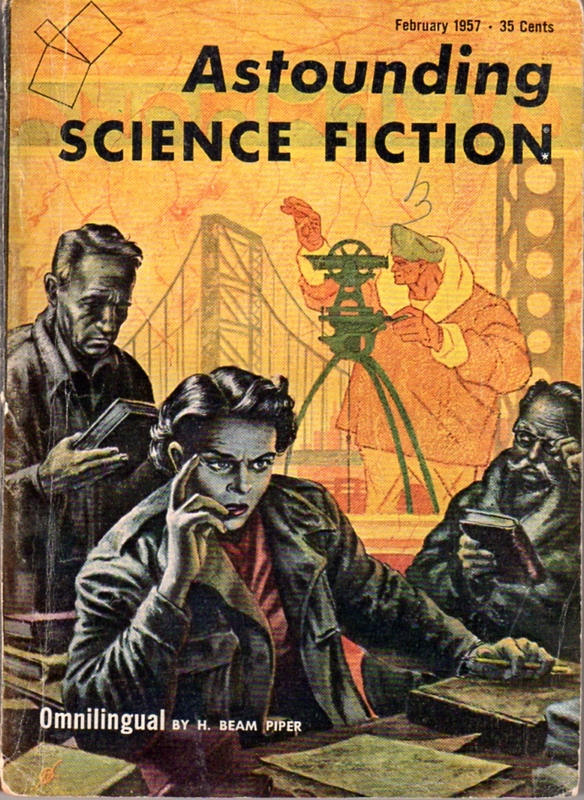 as Uller Uprising , Northridge, CA: Ægypan (POD), 2007, with cover illustration by Ebel (the unrelated cover illustration from the February 1953 edition of Space Science Fiction in which "Ullr Uprising" was serialized). as Uller Uprising , Rockville, MD: Wildside (POD), 2007, with dust jacket illustration by Fyletto. as Uller Uprising , Rockville, MD: Wildside (POD), 2007, with cover illustration by Fyletto. as Uller Uprising, LibriVox, December 2008, audiobook read by Ralph Nelson, Morgan Saletta, Acacia Wood, Sean O'Hara, and Anthony Wilson. as Uller Uprising , Rockville, MD: Wildside (POD), 2012, with cover illustration by Luca Oleastri. in Analog Science Fact — Science Fiction, Vol. 18, No. 5, May 1962 (British edition). as "Pernonac," Beata Della Frattina, translator, in Richiamo all'ordine e altri racconti, uncredited editor, Milan: Arnoldo Mondadori (Urania #376), 1965, pp. 13-62 (Italian translation). as "Naudas," Eduard Lukschandl, translator, in Außerirdische mal drei, uncredited editor, Rastatt: Pabel, 1968 (Utopia #565), pp. 3-34, with cover ilustration by Rudolf Sieber-Lonati (German translation). in Federation , John F. Carr, ed., New York: Ace, 1981, pp. 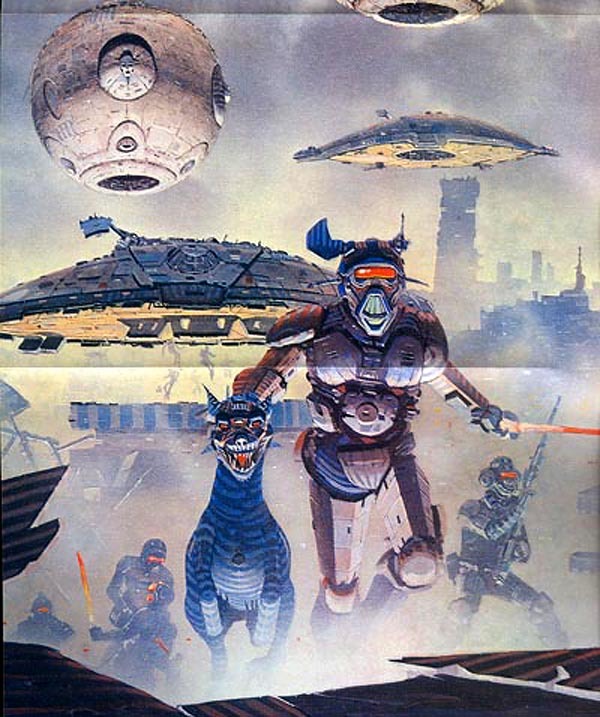 57-112, with cover illustration by Michael Whelan. in Naudsonce and Other SF , Alan Rodgers, ed., Northridge, CA: Ægypan (POD), 2006, hardcover without dust jacket. 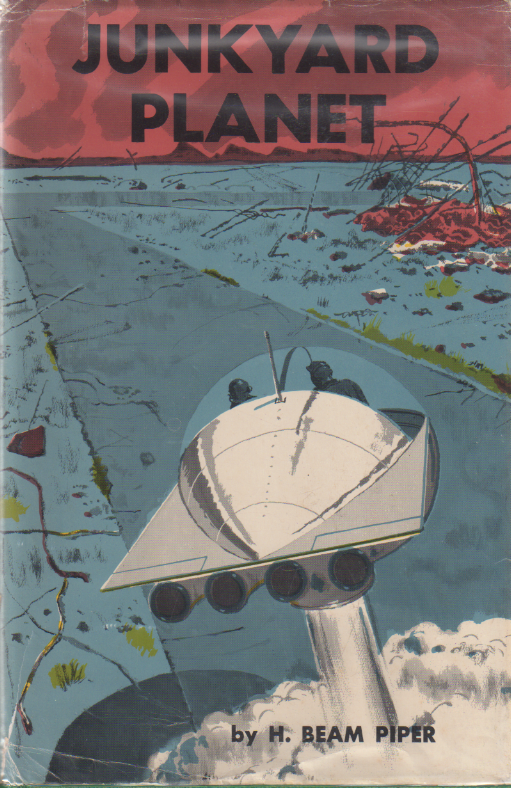 in Naudsonce and Other SF , Alan Rodgers, ed., Northridge, CA: Ægypan (POD), 2006, with cover illustration by Leo Morey (an unrelated, colorized interior illustration for "Naudsonce" from its original publication in the January 1962 edition of Analog). 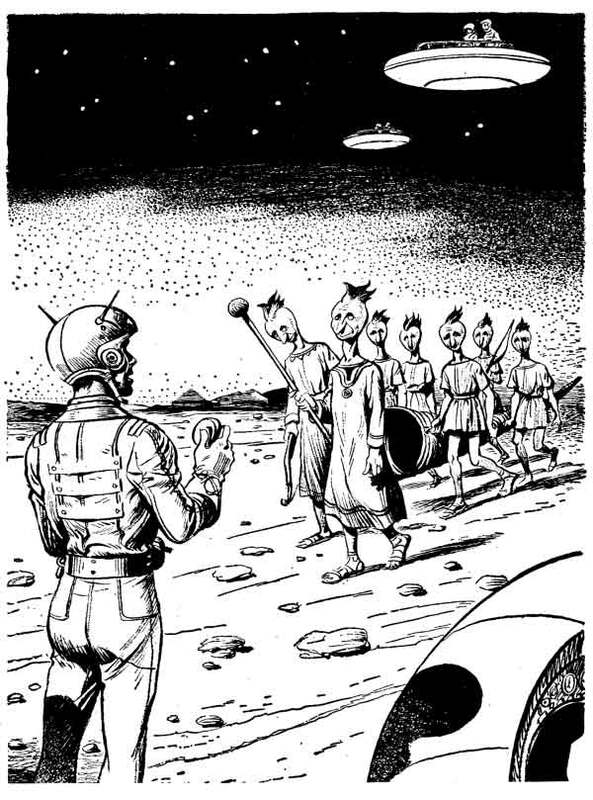 in Transmissions from Piper , John Appel, Vaclav G. Ujcik, and Greg Videll, Wheeling, IL: Rogue Games, 2009, with interior illustrations by Alfredo Lopez, Jr (supplement for the Thousand Suns role-playing game). as Naudsonce, H. Beam Piper, LibriVox, November 2012, audiobook read by Phil Chenevert. 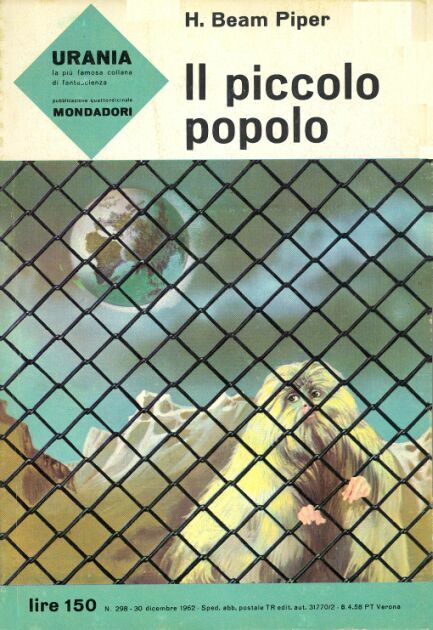 as Il piccolo popolo, Bianca Russo, translator, Milan: Arnoldo Mondadori (Urania #298), 1962, with cover illustration by Karel Thole (Italian translation). 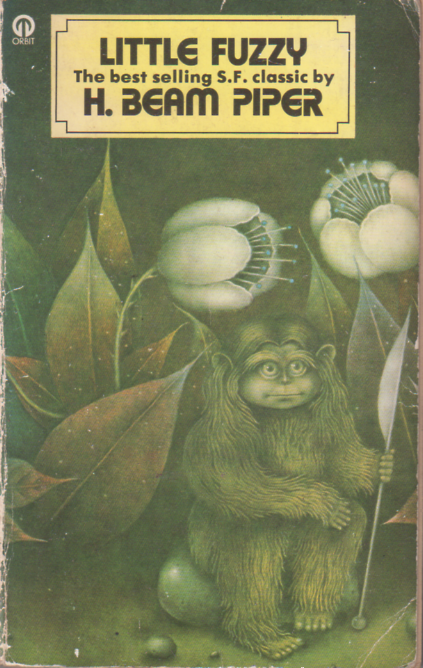 as Der kleine Fuzzy, Heinz Zwack, translator, München (Munich): Moewig, 1964 (Terra #87), with cover illustration by Karl Stephan (German translation). 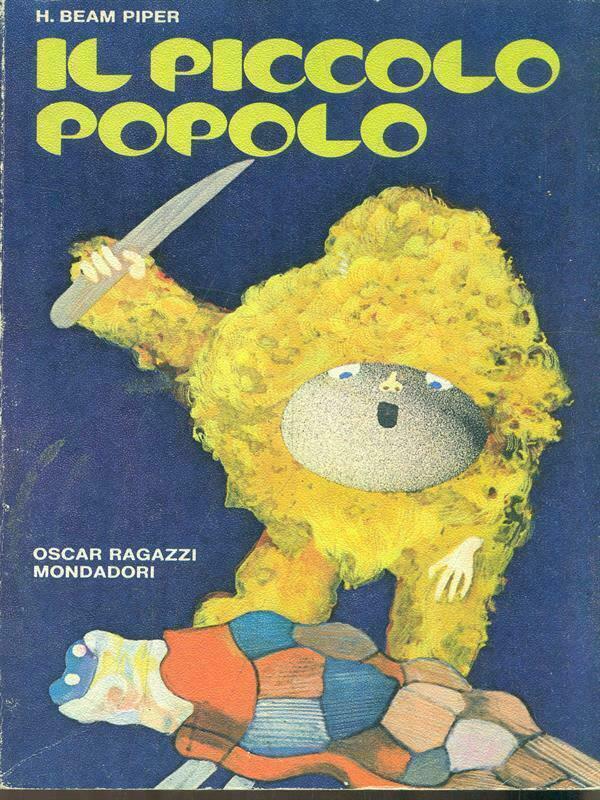 as Il piccolo popolo, Bianca Russo, translator, Milan: Arnoldo Mondadori (Oscar Ragazzi #19), 1973, with cover illustration by Paul Scharff (Italian translation). as Little Fuzzy , New York: Ace, 1976, with cover illustration by Michael Whelan. 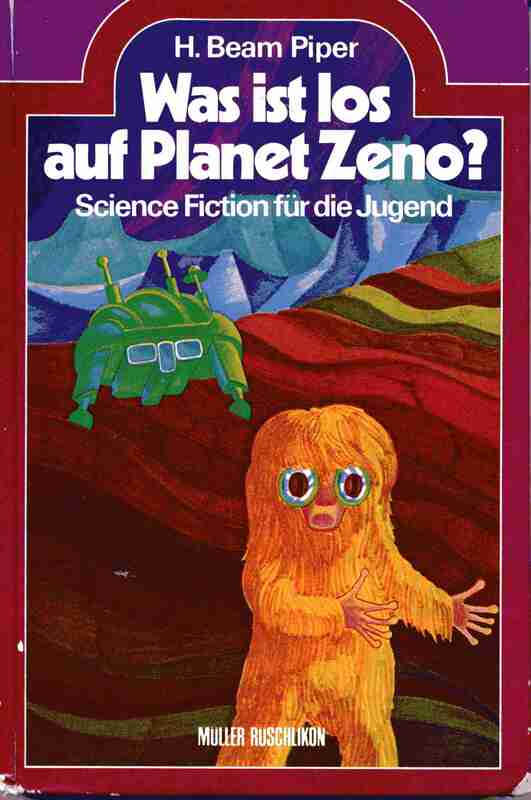 as Was ist los auf Planet Zeno?, Heinz Nagel, translator, Rüschlikon-Zürich (Switzerland): Albert Müller, 1976, with cover illustration by Beni LaRoche (German translation). 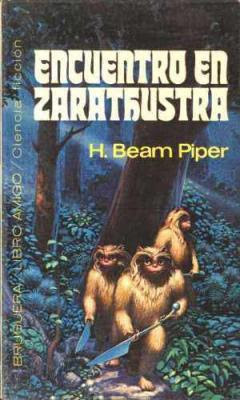 as Encuentro en Zarathustra, José Luis Yarza, translator, Barcelona: Bruguera, 1976 (Libro Amigo #472), with cover illustration by Michael Whelan (Spanish translation). in The Fuzzy Papers , Garden City, NY: Nelson Doubleday (SFBC #1188), 1977, with dust jacket illustration by Michael Whelan. as Little Fuzzy, London: Futura (Orbit), 1977, with uncredited cover illustration (British reissue). 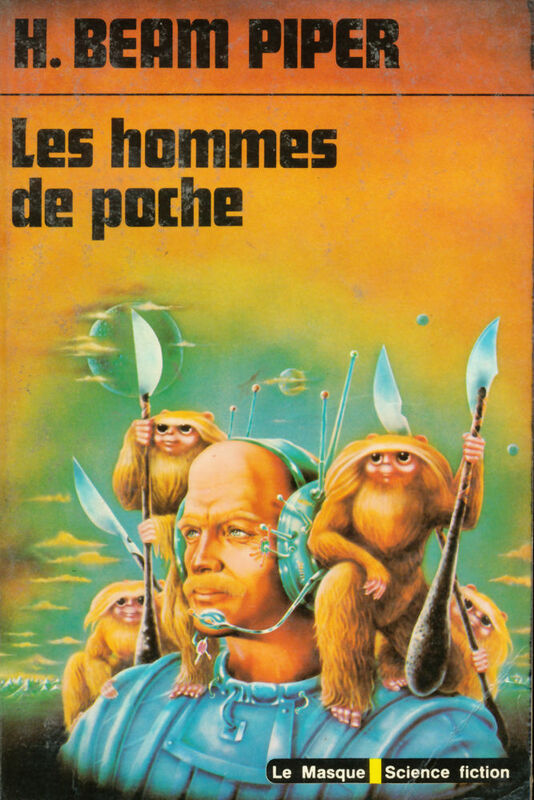 as Les hommes de poche, Jacqueline Huet, translator, Paris: Librairie des Champs-Elysées, 1977 (Le Masque SF #64), with cover illustration by Atelier Pascal Vercken. 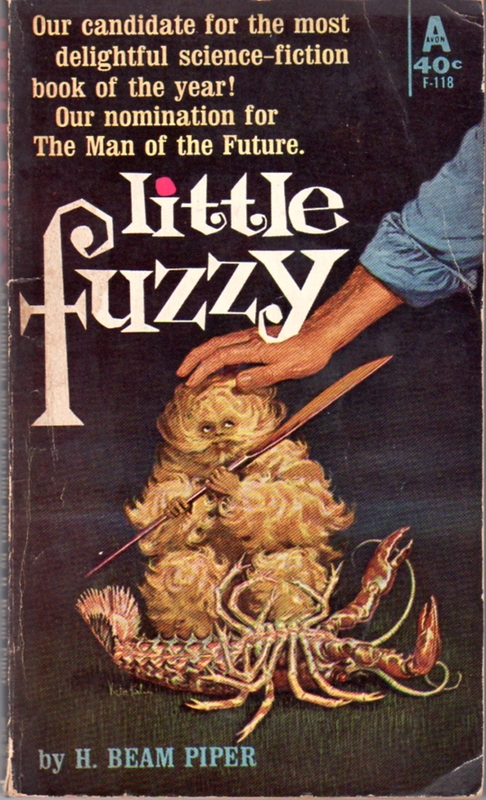 as Fuzzy in H. Beam Piper Omnibus (Fuzzy / Ruimteiking), D. van Linschoten, translator, Bussem (Netherlands): CentriPress SF, 1978, with cover illustration by Michael Whelan (Dutch translation). in The Fuzzy Papers , London: Futura, 1979, paperback with cover illustration by Terry Oakes (British reissue). 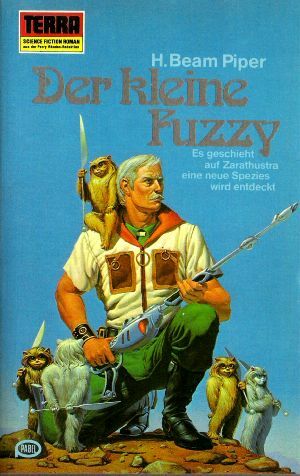 as Der kleine Fuzzy, Heinz Peter Lehnert, translator, Rastatt: Erich Pabel, 1979 (Terra #319), with cover illustration by Michael Whelan (German translation). in The Fuzzy Papers , New York: Ace, 1980, pp. 198-406, paperback with cover illustration by Michael Whelan (detail from Fuzzy Sapiens) and interior illustrations by Victoria Poyser. 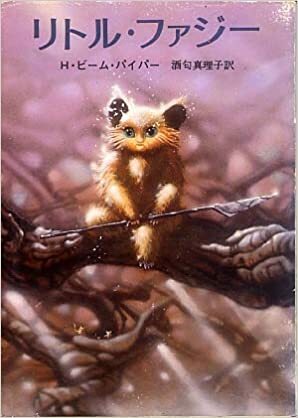 as Little Fuzzy , Sakawa Mariko, translator, Tokyo: Tokyo Sogensha, 1984, with cover illustration by Yoneda Hitoshi (Japanese translation). 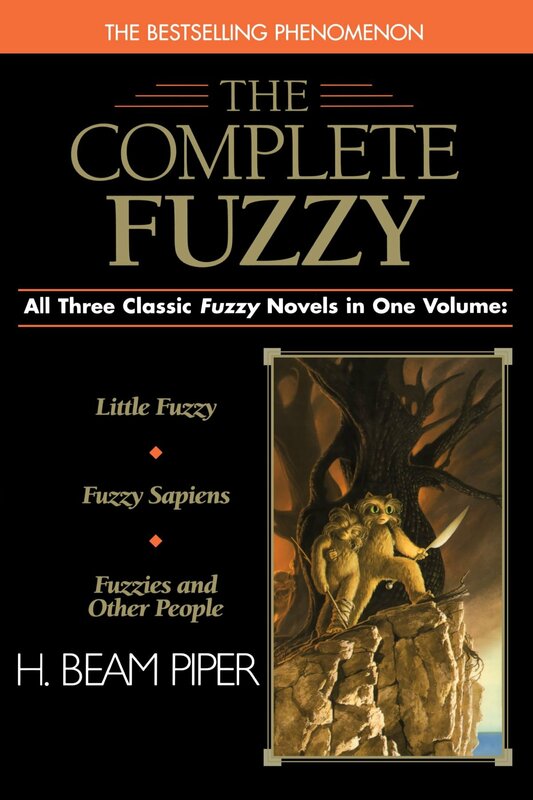 in The Complete Fuzzy , New York: Ace, 1998, with cover illustration by Michael Whelan (detail from Fuzzies and Other People). as Little Fuzzy , Northridge, CA: Ægypan (POD), 2006, hardcover without dust jacket (this book is often advertised with the same cover illustration as the Ægypan paperback edition but the book has blank boards and no dust jacket). 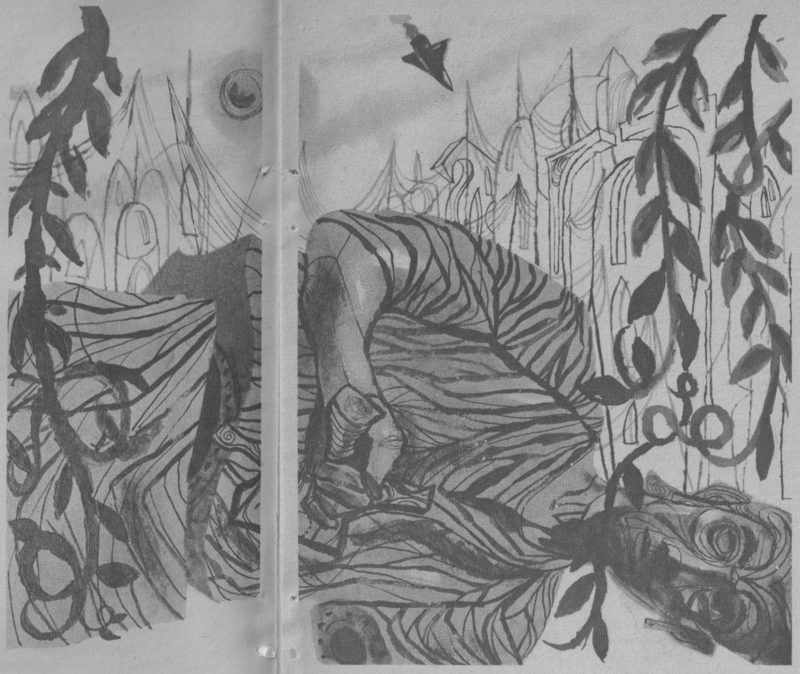 as Little Fuzzy , Northridge, CA: Ægypan (POD), 2006, with cover illustration by Amy Sterling Casil. as Little Fuzzy, H. Beam Piper, Maria Lectrix, August 2006, audiobook read by Maureen O'Brien. 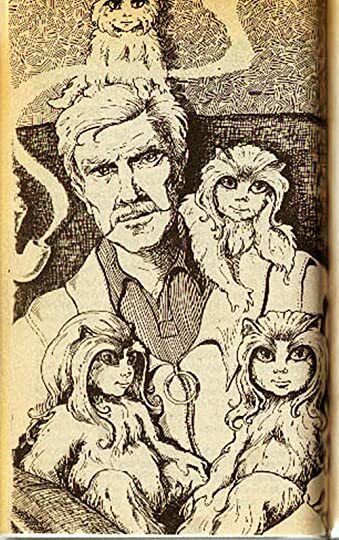 as Little Fuzzy , Rockville, MD: Wildside (POD), 2006, with cover illustration by Michael Whelan (detail from The Adventures of Little Fuzzy). 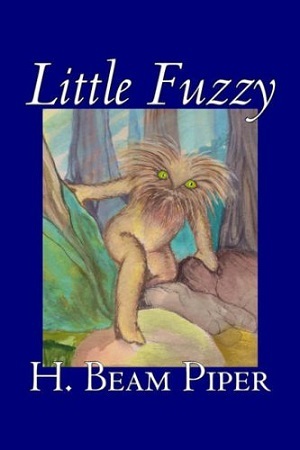 as Little Fuzzy, H. Beam Piper, LibriVox, November 2009, audiobook read by tabithat. 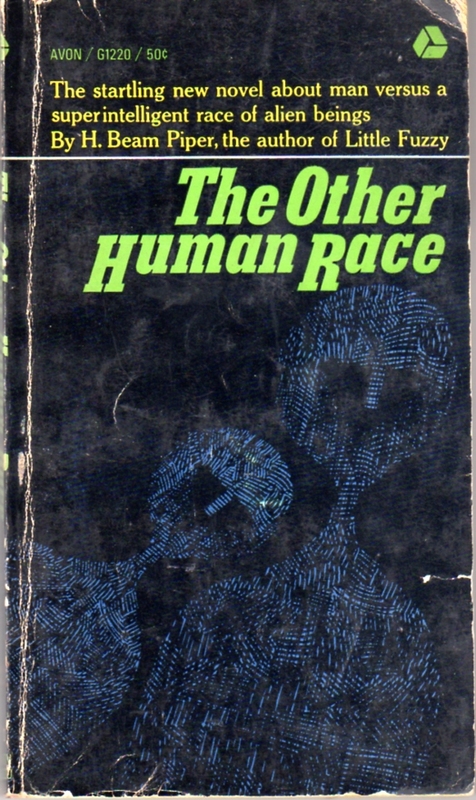 Lester del Rey, "The Reference Library: Something Old, Something New" (includes review of first Ace reprint of Little Fuzzy), Analog Science Fiction—Science Fact, Vol. XCVI, No. 6, June 1976, pp. 168-173.
as Fuzzy Sapiens , New York: Ace, 1976, with cover illustration by Michael Whelan. 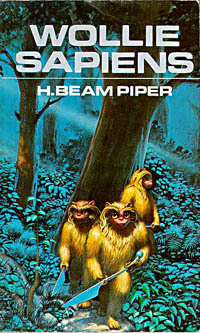 as Wollie Sapiens, Pon Ruiter, translator, Rotterdam (Netherlands): Scala SF, 1976, with cover illustration by Michael Whelan (Dutch translation). as The Other Human Race, in The Fuzzy Papers , Garden City, NY: Nelson Doubleday (SFBC #1188), 1977, hardcover with dust jacket illustration by Michael Whelan. as Fuzzy Sapiens , London: Futura (Orbit), 1977, with uncredited cover illustration (British reissue). 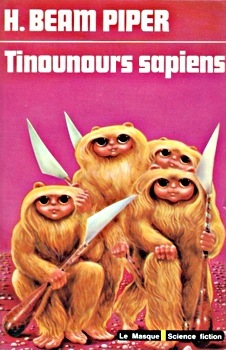 as Tinounours sapiens, Jacqueline Huet, translator, Paris: Librairie des Champs-Elysées, 1978 (Le Masque SF #76), with cover illustration by Jean-Jacques Vincent (French translation). 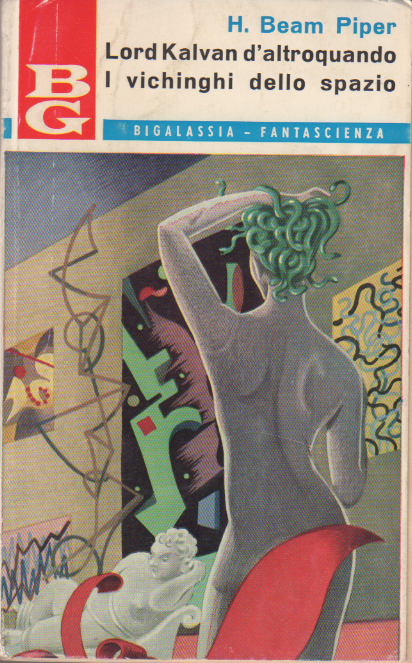 as Torna il piccolo popolo, Enzo Ruscica, translator, Piacenza: Casa Editrice La Tribuna, 1979 (Galassia #236), with cover illustration by Franco Storchi (Italian translation). 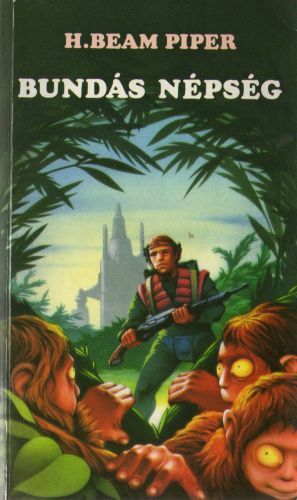 as Fuzzy sapiens, Heinz Peter Lehnert, translator, Rastatt: Erich Pabel, 1979 (Terra #321), with cover illustration by Michael Whelan (German translation). in The Fuzzy Papers , New York: Ace, 1980, pp. 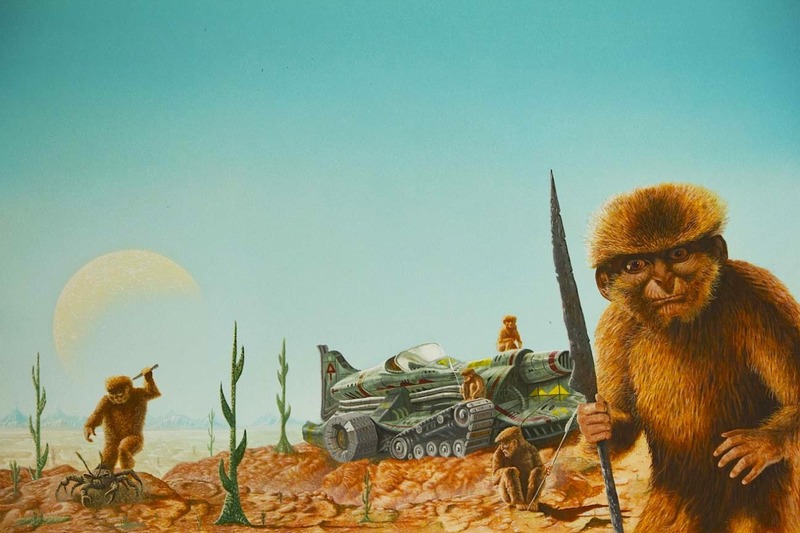 198-406, with cover illustration by Michael Whelan (detail from Fuzzy Sapiens) and interior illustrations by Victoria Poyser. as Bundás népség, Csaba Szummer, translator, Budapest: Móra Ferenc, 1993, with cover illustration by Jantner János (Hungarian translation). 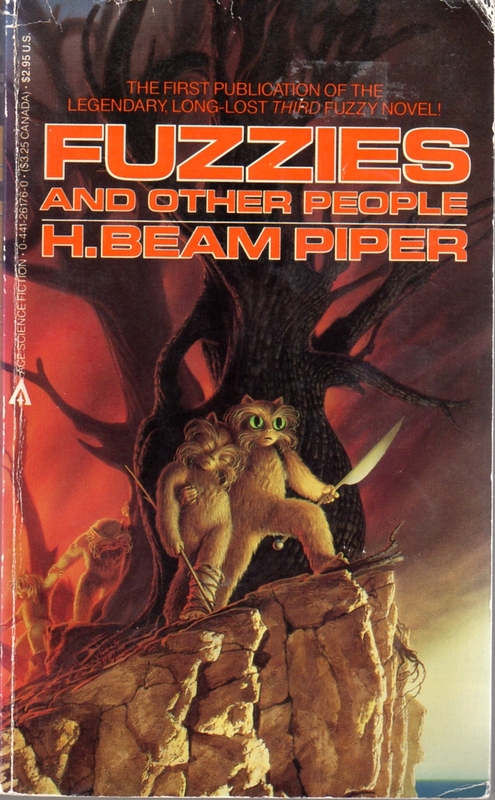 as Fuzzies and Other People , New York: Ace, 1984 (SFBC #2759; gutter code "O35"—October 1984—on page 182), with dust jacket illustration by Micheal Whelan. in Analog Science Fact — Science Fiction, Vol. 17, No. 3, March 1961 (British edition). in Federation , John F. Carr, ed., New York: Ace, 1981, pp. 114-171, with cover illustration by Michael Whelan. 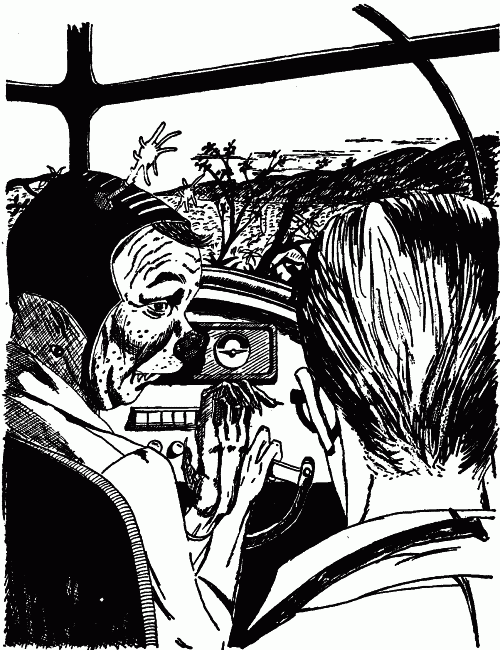 as Oomphel in the Sky, H. Beam Piper, LibriVox, March 2007, audiobook read by Mark Nelson. in Galaxy Science Fiction, No. 61, April 1958 (British edition). 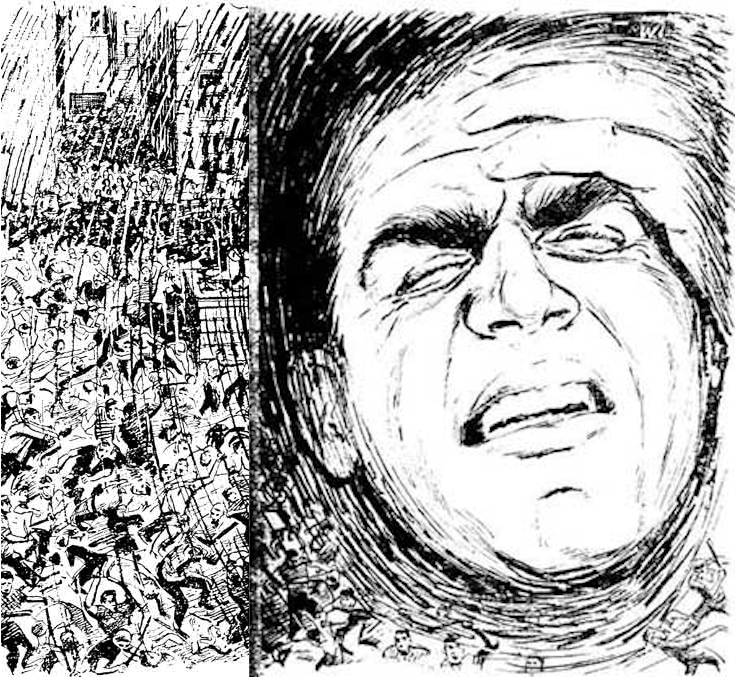 as "Le Cimetière des rêves" in Galaxie, uncredited translator, No. 54, May 1958, pp. 2-28, with interior illustration by Leo and Diane Dillon (French translation). in Federation , John F. Carr, ed., New York: Ace, 1981, pp. 173-199, with cover illustration by Michael Whelan. in Flight from Tomorrow: Science Fiction Stories , unknown editor, Rockville, MD: Wildside (POD), 2006, with cover illustration by unknown artist. in Graveyard of Dreams: Science Fiction Stories , unknown editor, Rockville, MD: Wildside (POD), 2006, with cover illustration by unknown artist. as The Cosmic Computer , New York: Ace, 1964 (F-274), with cover illustration by Ed Valigursky and interior illustration by Jack Gaughan. as The Cosmic Computer , New York: Ace, 1977, with cover illustration by Michael Whelan. as Der Verschollene Computer, Dolf Strasser, translator, Frankfurt: Ullstein, 1975 (#3167), with cover illustration by Chet Morrow (German translation). 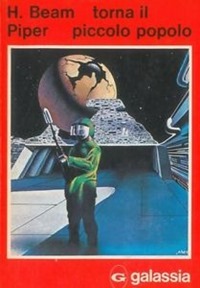 as Der kosmische Computer, Juergen Saupe, translator, Rastatt: Erich Pabel, 1981 (Terra #335), with uncredited cover illustration (German translation). 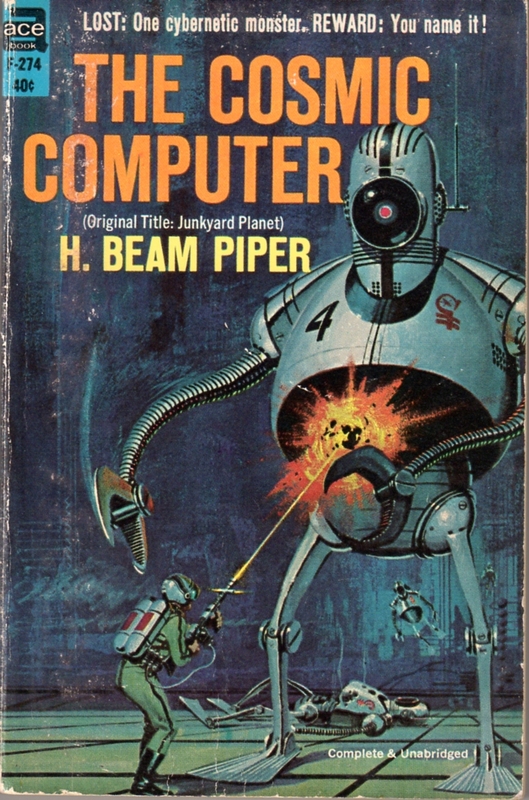 as The Cosmic Computer, H. Beam Piper, LibriVox, January 2007, audiobook read by Mark Nelson. as The Cosmic Computer , Northridge, CA: Ægypan (POD), 2007, hardcover without dust jacket (this book is often advertised with the same cover illustration as the Ægypan paperback edition but the book has blank boards and no dust jacket). as The Cosmic Computer , Northridge, CA: Ægypan (POD), 2007, with cover illustration by Ed Valigursky (a recolorized version of 1964 Ace "F-274" edition cover illustration). as Junkyard Planet , Rockville, MD: Wildside (POD), 2007, with cover illustration by Julio Rodriguez. as Junkyard Planet , Rockville, MD: Wildside (POD), 2007, with dust jacket illustration by Julio Rodriguez. as The Cosmic Computer , Boalsburg, PA: Pequod, 2013, with dust jacket illustration by Alan Gutierrez. as Space Viking, Part 1, in Analog Science Fact — Science Fiction, Vol. LXX, No. 3, November 1962 , pp. 6-52, with cover and interior illustration by John Schoenherr. in Analog Science Fact — Science Fiction, Vol. 19, No. 3, March 1963 (British edition). as Space Viking, Part 2, in Analog Science Fact — Science Fiction, Vol. LXX, No. 4, December 1962 , pp. 104-146, with interior illustration by John Schoenherr. in Analog Science Fact — Science Fiction, Vol. 19, No. 4, April 1963 (British edition). as Space Viking, Part 3, in Analog Science Fact — Science Fiction, Vol. LXX, No. 5, January 1963 , pp. 111-55, with interior illustration by John Schoenherr. in Analog Science Fact — Science Fiction, Vol. 19, No. 5, May 1963 (British edition). as Space Viking, Part 4, in Analog Science Fact — Science Fiction, Vol. LXX, No. 6, February 1963 , pp. 120-162, with interior illustration by John Schoenherr. in Analog Science Fact — Science Fiction, Vol. 19, No. 6, June 1963 (British edition). as Space Viking , New York: Ace, 1963 (F-225), with cover illustration by Ed Valigursky. 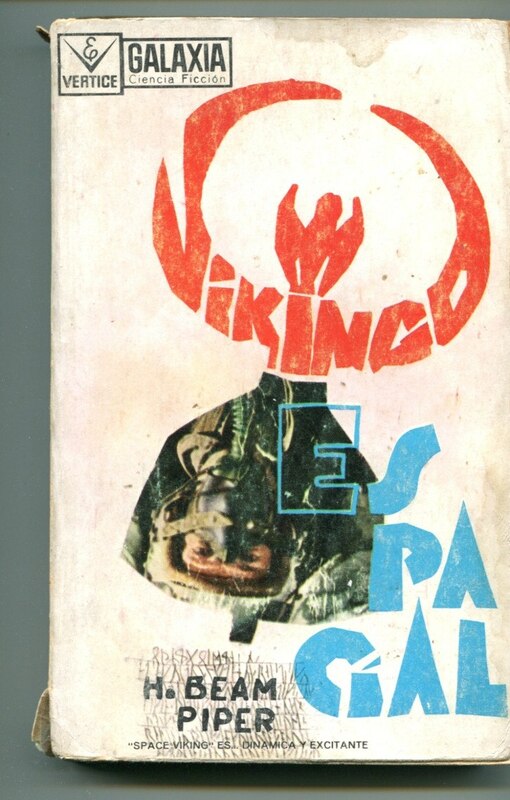 as Vikingo espacíal, Fernando M. Sesén, translator, Barcelona: Vertice, 1966 (Galaxia No. 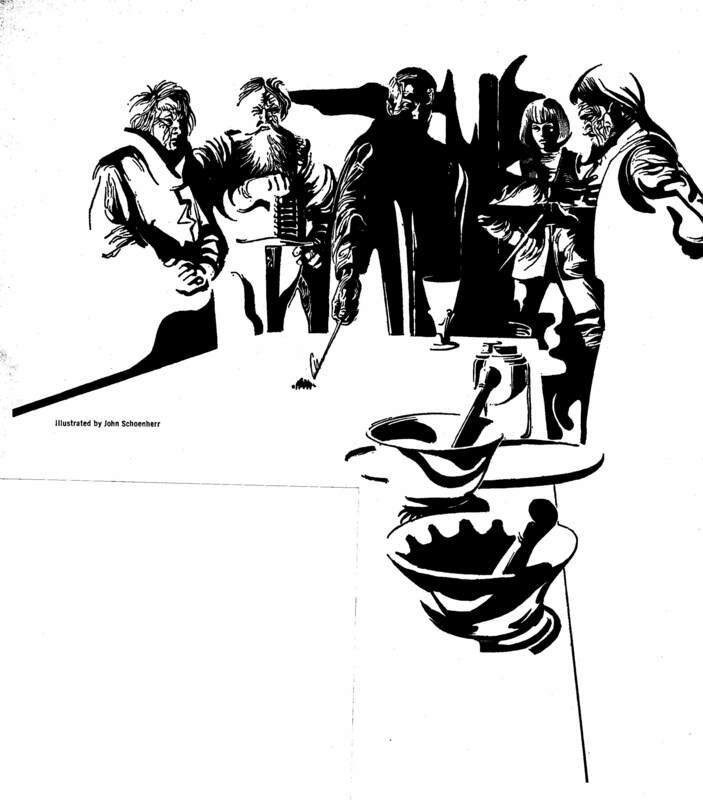 48), with cover illustration by unknown artist (Spanish translation). as I vichinghi dello spazio, Mauro Cesari, translator, in I vichinghi dello spazio, Ugo Malaguti, ed., Piacenza: Casa Editrice La Tribuna, 1968 (Galassia No. 92), with cover illustration by Paola Pallottino (Italian translation). as I vichinghi dello spazio, Mauro Cesari, translator, in Lord Kalvan d'altroquando / I vichinghi dello spazio, uncredited editor, Piacenza: Casa Editrice La Tribuna, 1971 (Bigalassia No. 6), with cover illustration by Virgil Finlay (originally an interior illustration from the March and April 1958 serialization of Fritz Leiber's novel The Big Time in Galaxy Science Fiction and later used as a cover illustration when novel was reissued in the February 1962 Italian edition of Galaxy), "double novel" with Lord Kalvan d'altroquando (Lord Kalvan of Otherwhen) (Italian translation). 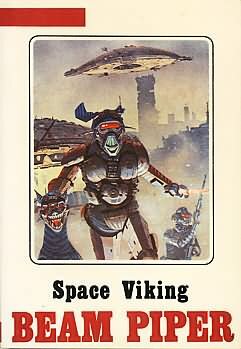 as Space Viking , New York: Garland, 1975, hardcover with blank boards (special limited edition). as Die Weltenplünderer, Dolf Strasser, translator, Frankfurt: Ullstein, 1976 (#3223), with cover illustration by Chet Morrow (German transation). as Space Viking , New York: Ace, 1977, with cover illustration by Michael Whelan. 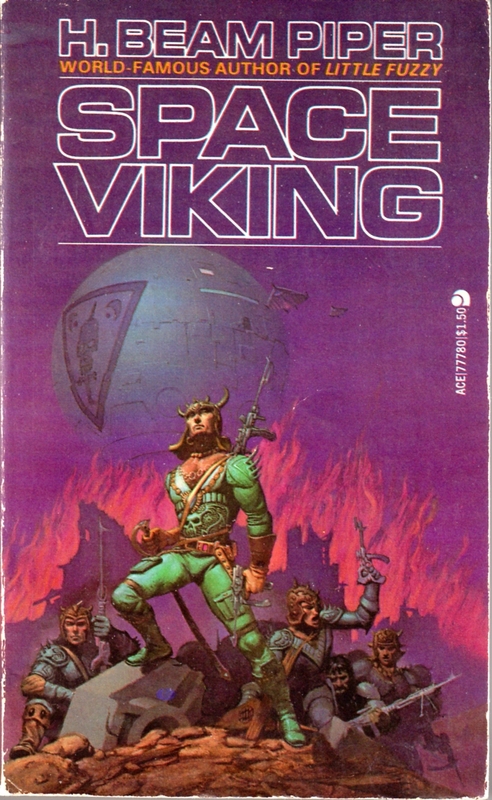 as Space Viking , London: Sphere, 1978, with cover illustration by Melvyn Grant. 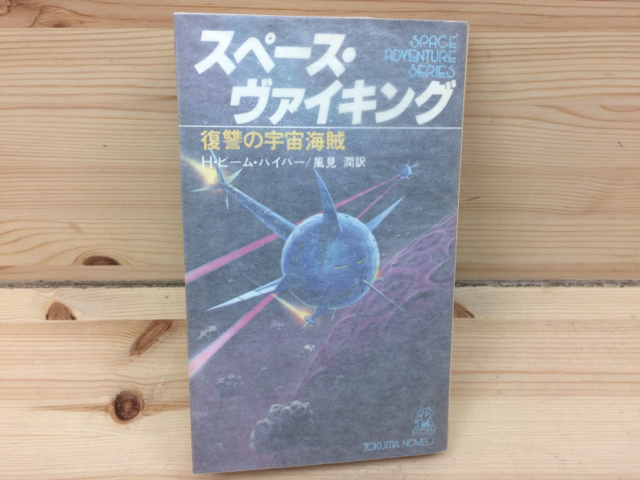 as Space Viking , Kazami Jun, translator, Tokyo: Tokuma Shoten, 1978, with cover illustration by Naitou Sadao (Japanese translation). 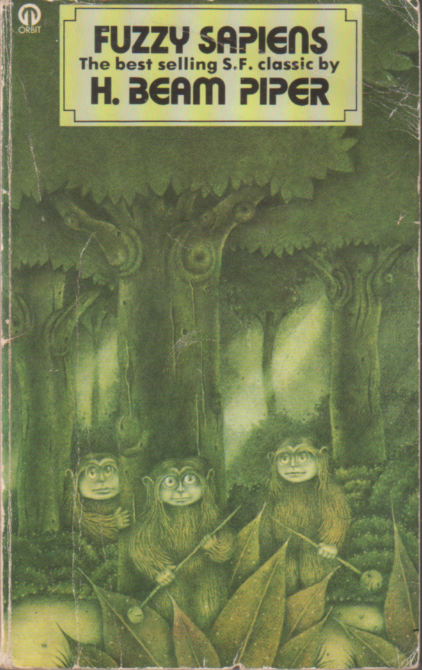 as Ruimteiking in H. Beam Piper Omnibus (Fuzzy / Ruimteiking), D. van Linschoten, translator, Bussem (Netherlands): CentriPress SF, 1978, with cover illustration by Michael Whelan (Dutch translation). as Space Viking, Jean-Pierre Pugi, translator, Temps Futurs, 1982, with cover illustration (original illustration served by Collectors Showcase) by Philippe Adamov and François Allot (French translation). as Space Viking , Northridge, CA; Ægypan (POD), 2007, hardcover without dust jacket (this book is often advertised with the same cover illustration as the Ægypan paperback edition but the book has blank boards and no dust jacket). as Space Viking , Northridge, CA; Ægypan (POD), 2007, with cover illustration by John Schoenherr (from original November 1962 Analog serialization). as Space Viking , Rockville, MD: Wildside (POD), 2007, with dust jacket illustration by Ericus. as Space Viking , New York, NY: Wildside (POD), 2007, with cover illustration by Ericus. 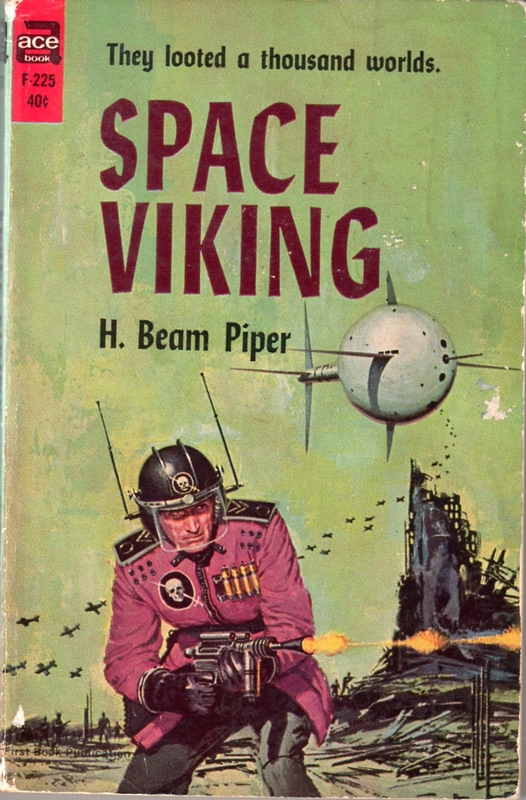 as Space Viking, H. Beam Piper, LibriVox, September 2008, audiobook read by Mark Nelson. as Space Viking, H. Beam Piper (submitted by Roger Drewicke), Palo Alto, CA: Benetech, 2008, Braille Refreshable Format (BRF) and Digital Accessible Information System (DAISY) talking book for the visually-impaired. as Space Viking , Boalsburg, PA: Pequod, 2011, with dust jacket illustration by Alan Gutierrez. in Analog Science Fact — Science Fiction, Vol. 18, No. 8, August 1962 (British edition). in Empire , John F. Carr, ed., New York: Ace, 1981, pp 63-127, with cover illustration by Michael Whelan. as A Slave is a Slave, H. Beam Piper, LibriVox, July 2012, audiobook read by Phil Chenevert. 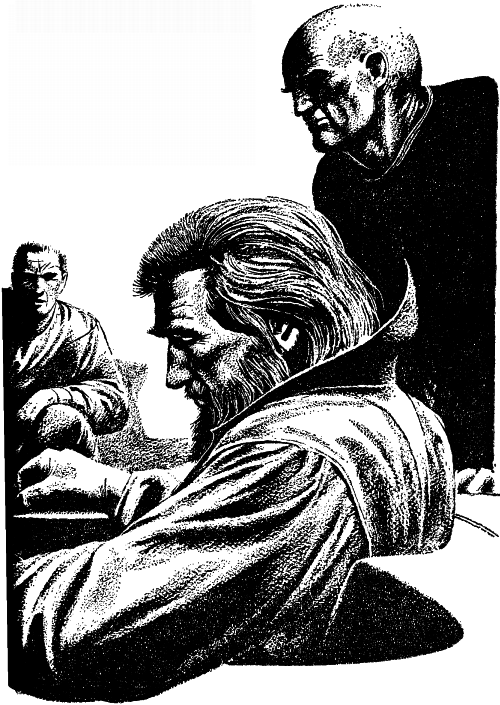 in Astounding Science Fiction, Vol. 15, No 3, March 1959 (British edition). in Seven Trips Through Time and Space, Groff Conklin, ed., New York: Fawcett (Gold Medal), 1968.
in Seven Trips Through Time and Space, Groff Conklin, ed., London: Hodder & Stoughton (Coronet) (British edition). as "Ministerio de Disturbios," Rafael Zavala, translator, in 7 Viajes a Través del Tiempo y del Espacio, Groff Conklin, ed., México: Novaro, 1972 (Nova Dell, #177) (Spanish translation). 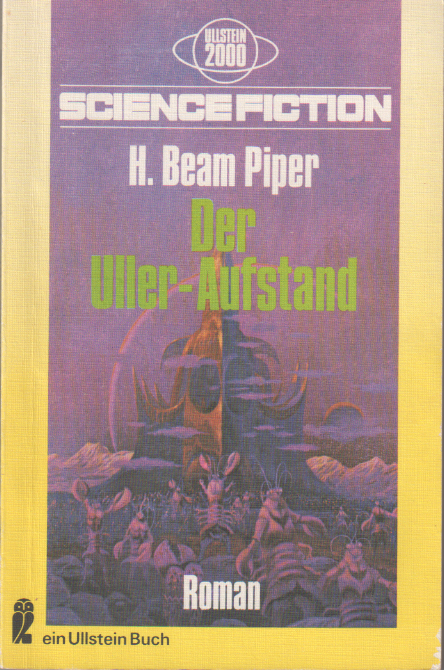 as "Ministerium für Unruhe," uncredited translator, in Science-Fiction-Stories 46, Walter Spiegl, ed., Berlin: Ullstein, 1975 (German translation). in Empire , John F. Carr, ed., New York: Ace, 1981, pp. 131-179, with cover illustration by Michael Whelan. in Isaac Asimov's Wonderful Worlds of Science Fiction #1: Intergalactic Empires, Isaac Asimov, Martin H. Greenberg and Charles G. Waugh, eds., New York: New American Library (Signet), 1983.
as "Il ministero del disordine," Iva Guglielmi and Gianni Pilo, translators, in Regni stellari (I Magici Mondi di Asimov No. 2), Isaac Asimov, Martin H. Greenberg, and Charles G. Waugh, eds., Rome: Fanucci, 1987 (Italian translation). in Intergalactic Empires, Isaac Asimov, Martin H. Greenberg and Charles G. Waugh, eds., London: Robinson, 1988 (British edition). as "Ministero del disordine," Stefano Carducci, translator, in Pioggia di stelle, Ugo Malaguti, ed., Bologna: Perseo Libri, 1988 (Nova SF No. 13) (Italian translation). in Transmissions from Piper , John Appel, Vaclav G. Ujcik, and Greg Videll, Wheeling, IL: Rogue Games, 2009, with interior illustrations by Jeff Preston (supplement for the Thousand Suns role-playing game). as "Le Diadème," René Lathière, translator, in Fiction Fantastique Science-Fiction, No. 76, March 1960, pp. 3-25 (French translation). in Venture Science Fiction, No. 5, January 1964 (British edition). 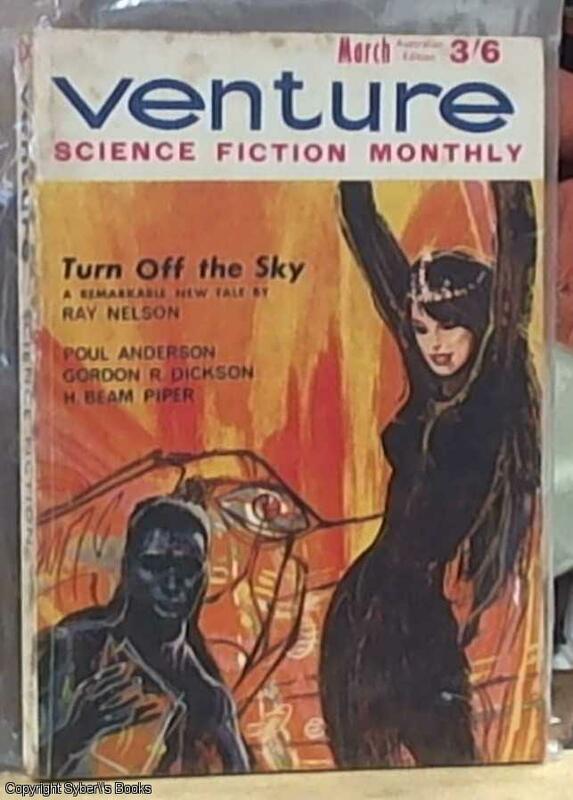 in Venture Science Fiction, March 1964 (Australian edition). in Empire , John F. Carr, ed., New York: Ace, 1981, pp 217-242, with cover illustration by Michael Whelan. as The Keeper, H. Beam Piper, LibriVox, July 2015, audiobook read by Stephen A. Jarjoura. This bibliography draws upon material which appears on various other fan pages providing Piper bibliographies and L. Fred Ramsey's Piper bibliography in the Old Earth Books edition of Murder in the Gunroom (with Mr. Ramsey's permission) as well information provided by Piper fans Tom Rogers, John Stovall, Alberto de Francisco, and Hervé Hauck. Information on foreign language editions draws upon the Piper bibliographies at LeeLibros (Spanish), nooSFere (French), Fantasy & SF Übersicht (German), MondoUrania (Italian), Fantascienza.com (Italian), Takashi Amemiya's Japanese Translation List (Japanese; Google translation) and Enokiuchi Satoshi's Keyword collections (Japanese; Google translation).